3/4 x 18 x 12 1/2 in. 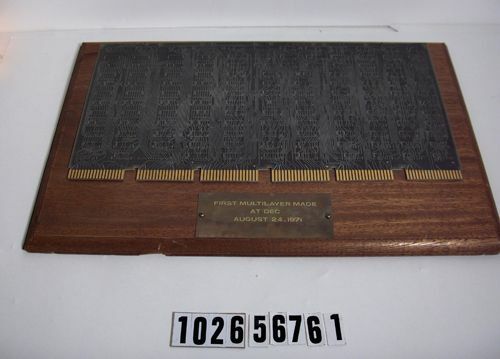 Object is a wooden plaque with a large circuit board mounted on it. 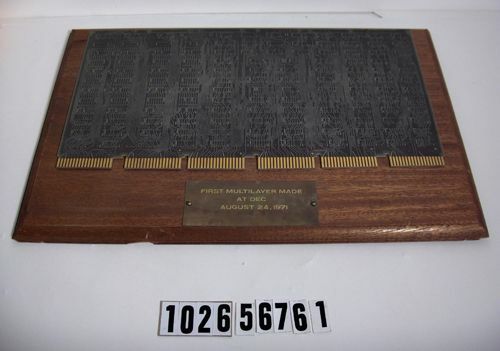 Text on small metal plaque reads "First Multilayer made at DEC / August 24, 1971".